Legacy Products, LLC is a distributor for a number of leading door manufacturers including Therma-Tru, Stanley, Streuli, and Comfort Line. 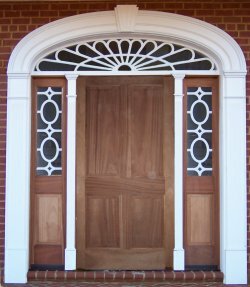 Steel doors, fiberglass doors, and decorative wood doors are all available. Choose from the stock selection options, or customize it with products from our Legacy Windows line. Add sidelites, a rectangular transom, or a shaped window over the door; or you can do all three! Contact us with your ideas and we will bring them to life.